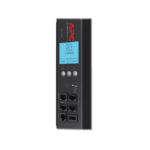 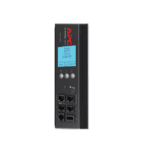 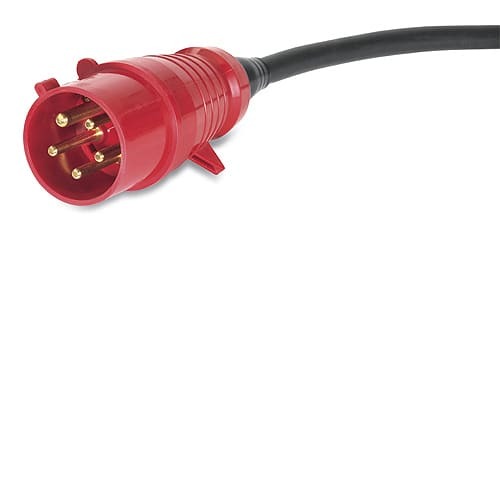 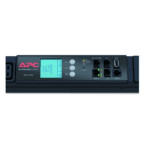 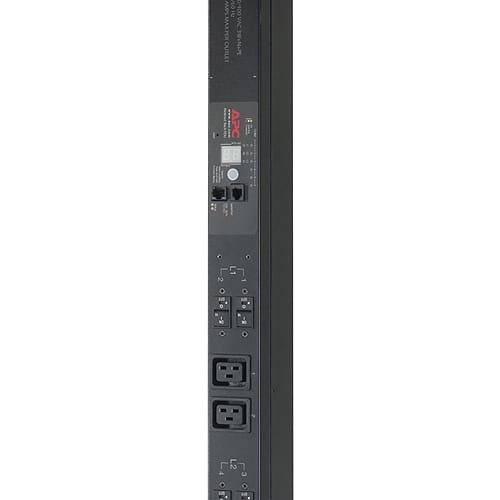 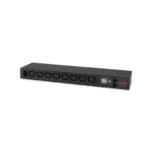 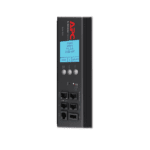 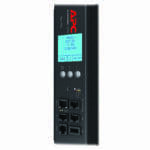 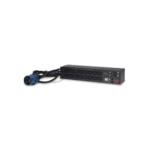 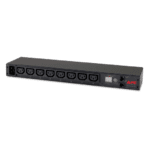 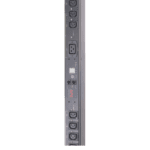 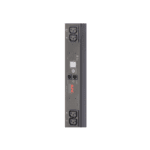 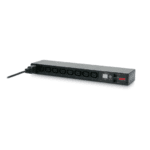 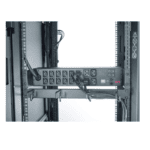 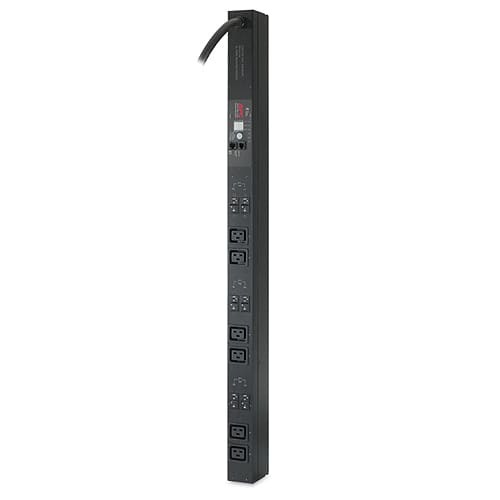 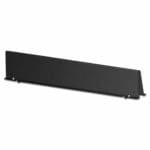 The APC Metered Rack PDU for Blade Servers distributes power to devices in the rack. 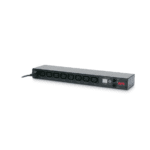 It has a sensor that measures the current that it and its attached devices use. 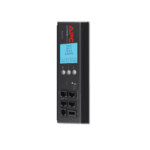 It can be monitored through Web, Telnet, SNMP, SSH, or InfraStruXure Manager interfaces.